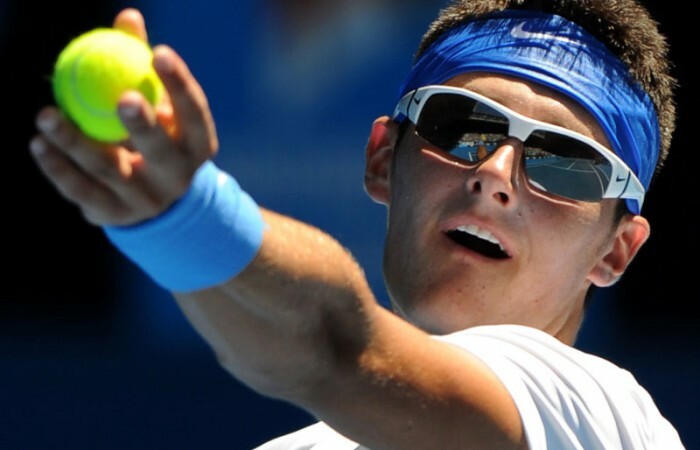 Teenage wildcard Bernard Tomic has continued his dream Australian Open to book a third-round blockbuster with world No.1 Rafael Nadal. 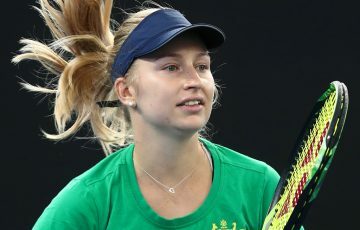 Australia’s world No.199 stunned Spanish 31st seed Feliciano Lopez 7-6 (7-4) 7-6 (7-3) 6-3 on Thursday to reach the last 32 of a grand slam event for the first time. 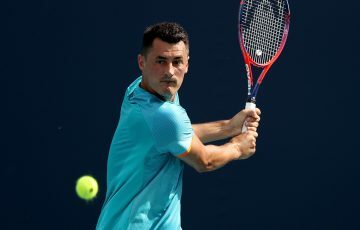 The biggest win of Tomic’s career came two days after the 18-year-old two-time junior grand slam champion dumped world No.44 Jeremy Chardy from the tournament. Playing Nadal – almost certainly in the prime-time Saturday night slot – will be a whole new ball game for Tomic. But the top seed is nonetheless already on guard. “He’s very young, he’s playing well I think, he has a very very good future … hopefully not for the next round,” Nadal said after trouncing American qualifier Ryan Sweeting 6-2 6-1 6-1 earlier on Thursday. 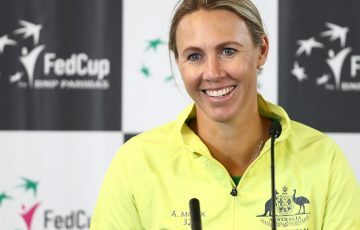 Nadal said a match against the young Australian on Rod Laver Arena would be a nice occasion and recalled his days as a teenager taking on dual grand slam winner Lleyton Hewitt in Melbourne. 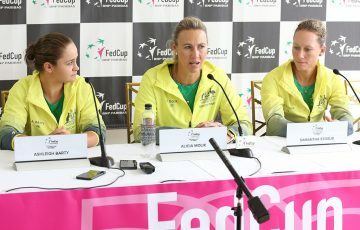 “I remember when I was here when I was 16, 17, I played against Lleyton (twice and lost both times). If you win, it’s unbelievable. If not, it’s OK,” the history-chasing Spaniard said. 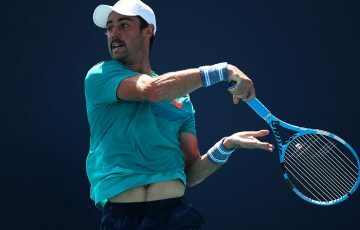 Tomic’s clash with Lopez pitted the youngest player – and last remaining Australian – in the men’s draw against a two-time quarter-finalist playing his 36th consecutive grand slam event. Anything but overawed, though, Tomic came out firing, opening with an ace, holding his first two service games to love and breaking Lopez for a 3-0 advantage with a booming backhand pass down the line. Showing guile, deft touch, agility and power, Tomic raced to 5-2 only to drop serve to love trying to close out the first set. But the teenager retained his nerve to recover from 2-0 down in the tiebreaker to pocket the first when Lopez dumped a forehand into the net. Tomic suffered a letdown early in the second set, dropping serve to fall behind 3-0 but gallantly broke the Spaniard to love in the seventh game. 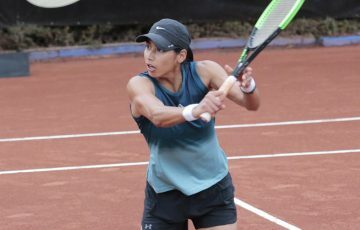 The Australian again prevailed in the second-set tiebreaker as Lopez, feeling the heat, began to unravel. The two-time Wimbledon quarter-finalist had two break point opportunities in the seventh game of third set, but Tomic held strong and broke Lopez for a 5-3 lead the very next game. He calmly served out the match after two hours, nine minutes. Tomic said he was having the time of his life at Melbourne Park, where three years ago, at 15, he became the youngest-ever junior Open champion. “What an experience it’s been,” he said. “I can’t ask for anything more. To get the opportunity to play Rafa is a dream come true. Lopez was the only player to inflict a grasscourt defeat on Nadal last year, upsetting his countryman in the Queen’s Club quarter-finals, before the world No.1 added the Wimbledon and US Open titles to his French Open crown. The 24-year-old Spaniard arrived in Melbourne bidding to become the first man since Rod Laver in 1969 to hold all four grand slam titles simultaneously.